The average number of sexual partners for professional artists and poets was between four and 10, compared with a mean of three for non-creative types. Statistics also showed the average number of sexual partners rose in line with an increase in creative activity. Psychology lecturer Dr Daniel Nettle, from the university's school of biology, said there were two key reasons for the findings. Theirs was an aristocratic predisposition while Wordsworth, Coleridge and William Blake (1757-1827), an eccentric 'romantic' who started a bit earlier, had an interest in the less exalted classes. They emphasized attention to 'ordinary' people, the use of 'ordinary' language styles and poetic forms. Sylvia Plath, the American prizewinning poetess who gassed herself to death at age 30, had no immediate connection to the Holocaust. Yet her poetry draws repeatedly on Holocaust imagery to convey the writer's intense emotional suffering. The purity of her vision has remained unscathed by fashion and fame. In a world where famous writers are encouraged to publish the contents of their wastebaskets, [Wislawa] Szymborska's modesty and economy are welcome. [Kenneth] Koch didn't openly write about the war until the last years of his life. Then, he did so in only a few poems. Perhaps his memory of moral chaos gave him at least part of his commitment to joy in life and his sense of literary fun; that he wrote to create his own happiness-seeking sense of counter-order. From his near-quarantine in his quiet Cache Valley home, retired professor Ken Brewer is teaching his last class, a class he never wanted to teach, a class he may not even realize he is teaching. Seattle's poet populist [Pesha Gertler] has dedicated her life to bringing the power of poetry to everyone. "I want people to know that the same healing power is available to the nonprofessional poet as is available to the professional poet," she says. "The common denominator is the healing power of poetry." She began to perform in dialect in 1938 at the age of 19 and the Gleaner newspaper began to carry her verse in 1943. After that Louise Bennett soon became celebrated and loved throughout the West Indies, and well beyond, as a serious folklorist, a dialect performer, and a poet. At fourteen he [Gabriel Aresti] began to study Basque on his own, reading the classics in the City Library and listening to popular verse improvisers. His poetry evolved from the symbolism of his youth to the social criticism of his later years. Hassan Sabbagh, an Iraqi political refugee now living in Sydney, was detained in Villawood detention centre for five years. One of his poems traces a journey begun in 1986 and describes life, and torture, under Iraq’s Baathist regime; his experiences during the Gulf War in 1991; the flight from his homeland and his illusions of a safe haven in Australia. [John] Lawless first introduced Angier students and teachers to his poetry after a pesky chipmunk remained inside the school, unable to be removed. "I'm horrible, I'm heinous, I'm headless and I'm here . . . I'm furry, fast and fangy, in search of something tangy," wrote Lawless in a poem to the students. Personally, I favour a loosely generic approach (poetry, plays, fiction, biography history; travel and cookery books on the bottom shelves) with a bookcase full of favourites in the bedroom and a good selection of bathroom literature in the loo. Today seems like a good day to be reminded of that. In a note that accompanied the poem, Ms. Spangler wrote: "I have written poetry most of my 77 years." Thank you, Elois. Thank you for writing. And thank you for noticing. Reading these two quiet, lyrical poems by Robert Louis Stevenson side by side, we have the chance to reflect on the past and the future—to compare our earliest moments and whatever expectations we may have of our very last. How will our departure vary from our origins? of effort, greedy for unhappiness. . . . The poem is conveyed by a direct and declarative voice, with many end-stopped lines - lines that close with punctuation at the end of a grammatical unit. (Walt Whitman was a master of this style.) I especially like Rhonda [Palmers]’s choice of the words "honeycomb," "riddled," "lured" and the similes in the next two lines. Fernando Alegria, a Chilean-born writer who introduced the study of Latin American literature to U.S. universities, has died. He was 87. [Strath] Clague was from Musselburgh and was well-known on the folk scene for his humorous, quirky songs and poems. [Darlene M. Crile] helped her husband on the family farm for 60 years in the Trenton area and was devoted to her special-needs sons. She enjoyed gardening, songbirds, writing poems and letters and antique collecting. Mildred [Davis] was a member of the Seventh Day Adventist Church, Order of the Eastern Star, Disabled American Veterans and was on a local bowling team. She was an accomplished poet, receiving several Golden Poet Awards. Ms. [Laquinta] Peeler said her younger brother [John Alvin Haynes] was a big fan of R&B and rap, wrote music and poetry and loved basketball. He had what she referred to as a "sunshine smile." "He loved his nieces and nephews to death," she said. Haynes had seven nieces and nephews. [Jane Kauders] was a writer whose work included essays, poems, songs, and a piece called "All in Favor, Say No," published by Vogue magazine in the early 1950s, said her daughter, Peggy. The story was about women who spent long hours outside the home volunteering and serving on committees. Renowned Zimbabwe national anthem author Professor Solomon Mutsvairo was laid to rest at his rural home in Chiweshe on Saturday after being granted provincial hero status. The funeral for the late Basilio Pujana, the Bertsolari or Basque extempore poet, will take place in Zeanuri (Bizkaia) at 18.00 today. Pujana was a very important reference in Bertsolaritza during the years following the Spanish Civil War (1936-39) and reached the final twice in the Bizkaia Bertsolari Championships. But if Lawson [Reams] could be remembered for anything, I think he would want it to be as Kingsport's unofficial poet laureate. Whenever anyone at his church, First Broad Street, or in his beloved civic club Civitan celebrated a special event, Lawson would commemorate it with a poem. Colonel Smyth, as he liked to call himself in his retirement years, remained mentally active to the end. He had written poetry during the war years (and occasionally in later life) and in 2003 a number of his poems were published in the anthology Time Standing Still. "But when I got there, it wasn't just a fight. It was something horrible." Police, with neighbors including Yolunda's mother, Frances Warren, on their heels, found Yolunda and Anastasia had been stabbed to death about midnight. The Chinese journalist and poet Shi Tao will not be in New York on Tuesday November 22 to collect his Committee to Protect Journalists (CPJ) Press Freedom Award - he is serving a 10-year prison sentence with forced labour in Chishan Prison, Yuanjiang City. Most of the poems are signed "Dylan" or "Dylanism," the earliest known use of his nom-de-tune, according to Christie's auction house. The rare cache of Dylan poems were bought at Christie's by an anonymous European collector, said a spokeswoman. Beethoven was a Catholic, and Eliot famously converted to Anglicanism aged 38, nine years before writing Four Quartets. In 1933 Eliot said he wanted to get "beyond poetry, as Beethoven in his later works, strove to get beyond music". Like prayer, poetry invites us to slow down and be still, to appreciate everything and everyone around us and consider what matters most in our lives and the world we live in. Meditative in nature, poems are an expression of gratitude. As Wendell Berry writes, she was "a poet who had set up shop smack in the middle of another poet's subject." Her [Jane Kenyon's] response to comments like that was to evoke Mt. Kearsarge, which she could see from her writing desk: "That mountain treats everybody the same." [Amelia Rosselli's] extraordinary verse collection, War Variations, remains one of the most daring literary experiments of postwar Italy. The verse bristles with the influence of Ezra Pound and the brazen avant-garderies of Italy's Group 63, a leftist coterie set up in 1963 by disaffected Italian writers and critics, among them the then unknown Umberto Eco. Police said there had been a struggle inside the home. [Jon] Newlin was badly beaten but was "conscious and mobile" when police arrived at 11:58 a.m. The woman was fatally stabbed and was dead on the scene, police said. The conclusion would seem to suggest that desire--love--is wholly out of our control, whatever the emotional agonies endured or other physical penalties paid. For 15 years, Dana Gioia was a man whose heart was pulled in two directions. As he rose through the marketing ranks at General Foods, resurrecting the Jell-O brand and ultimately reaching the position of vice-president, he also was writing serious poetry. Katy Giebenhain, an American living in Berlin, Germany, depicts a ritual that many diabetics undergo several times per day: testing one's blood sugar. The poet shows us new ways of looking at what can be an uncomfortable chore by comparing it to other things: tapping trees for syrup, checking oil levels in a car, milking a cow. Memory, then, depends on the poetic. Without that other, non-prosaic way of understanding, we drown in the "sea of forgetting." This is [W.S.] Merwin's quiet, oblique way of celebrating poetry, or the psychological need for poetry. Your task this month is to write an inscape poem in which you describe something that "Selves--goes itself", something that "speaks and spells" its identity. Then he is a monarch who gives a constitution to his people; a pontiff who preaches the equality of souls, and releases his servants from their barbarous homages; an emperor who can spare his empire. The heroes of the hour are relatively great--of a faster growth; or they are such, in whom, at the moment of success, a quality is ripe which is then in request. Iranian eternal figure in poetry for the year 2005 Manuchehr Atashi died of a heart attack after kidney surgery at Tehran's Sina Hospital this afternoon. Fellow poets celebrated the memory Wednesday of the man his community called the Poet Laureate of Pawleys Island. George Brown, self-made poet, gentle giant and leader in a dwindling black community, died Saturday. Lindsay Brooke Chain, 20, a 2004 Baldwin County High School graduate, was one of two women killed in the accident, which occurred at 11:10 p.m. Thursday on Interstate 95 south of St. Augustine, according to Lt. William Leeper of the Florida Highway Patrol. In 1966, Mr. [Lou] Myers published his first short story, "The Landlord," in The Evergreen Review, as well as some poetry in Niobe, a literary journal. Throughout the 60's, he illustrated magazine and newspaper articles in publications that included Monocle, Ramparts, Holiday, Show, Esquire, U & L C and The New York Times. Gregarious and outgoing, Mrs. [Marge] Salin was a free spirit remembered by her family as, "a true character and cultural visionary." A hurricane of energy, few could keep up with her. Into her 80s, and nearly blind, she hitchhiked around the Bay Area attending art and literary events. Sepasi had no reason to suspect her daughter [Sasha Sepasi]--a published poet, a gifted artist and a talented athlete--was experimenting with the new Russian roulette of the 21st century. According to experts, many parents and school administrators have no idea about the new phenomenon and its potentially fatal consequences. "He loved to write poetry," she [Alease Stimpson] said. "He wrote some very good poetry." Fire officials said they aren't sure why [Jeffrey Lee] Stimpson couldn't make it out of the apartment. [Louis Joseph Taucher] also wrote poetry. He enjoyed cooking and was an expert craftsman in woodworking. Mr. Taucher was well known to generations of children in the Klamath Basin as Santa Claus. Michael Thwaites, who has died in Canberra aged 90, was an improbable spook--a poet who became director of counter espionage in the Australian Security Intelligence Organisation (ASIO) and supervised the defection of the head of Soviet intelligence in Australia, Vladimir Petrov, and his wife, Evdokia, in the 1950s. [Lawrence] Cosgrave said [John] McCrae commented on the beauty and power of the scene and then walked over to a parked ambulance overlooking the cemetery, and taking a seat on the back, wrote In Flanders Fields in 20 minutes to "relieve his emotions." Here's where differing accounts of the story begin. He was a war hero who won the Military Cross, a poet whose work has been compared to Wilfred Owen’s and whose literary legacy was almost lost when he was killed on the Western Front. The story of John Munro illuminates the gap between the millions of first world war dead whom we commemorate on Armistice Day and our fading memory of the fallen as individuals. The 25-year-old Afghan [Nadia Anjuman] had garnered wide praise in literary circles for the book Gule Dudi--Dark Flower--and was at work on a second volume. Friends say her family was furious, believing that the publication of poetry by a woman about love and beauty had brought shame on it. The condemnation to death of [Kenule Beeson] Saro-Wiwa and his kinsmen drew a lot of criticisms and even blatant ire against the federal government but Abacha (the Nebuchadnezer of his days) would not budge. Before the mandatory 30 days for which the condemned could apply for commutation of sentence would expire, Abacha had ordered the hangman to swing into action and the Ogonis were killed in what came as a rude shock to the entire world. "This reminds me of what Prof. Zhou Nanjing of Peking University once said in a letter to me. One of the reasons for the anti-Chinese campaign in Indonesia is a lack of communication. "Therefore, I must introduce Chinese culture to the Indonesian community by translating Chinese literary works," he [Wilson Tjandinegara] noted. [Phil] Kawana's childhood, 'built with ice block sticks' where 'Even the dog/was communal', is the source of the poems' strong and angry voice confronting political and social injustice: 'We don't allow/your kind in the house', he was told by a friend's mother at a birthday party. This was a new turn in the history of religious conversion. Where for millennia the cutting edge of faith had been the difference between pagan myth and Christian revelation, [C. S.] Lewis was drawn in by the likeness of the Christian revelation to pagan myth. "We got the last three copies of his book," he [Harold Augenbraum] says, explaining that the print run sold out. The poems often talk about [Vern] Rutsala's father's struggle with blue-collar work, and despite the fact that he spent much of his life teaching at a private college, the hardscrabble world still holds some appeal. What flow through the poems all the time, forming them and breaking them up, are the conflicting voices of 21st-century America: the cheering ones, the demoralised ones, the soulless ones, the coercive ones. "There is a warning somewhere in this," "Coma Berenices" concludes, "but I do not know if it will be permitted." "Alcohol does change one's way of thinking," says [Professor Hannah] Steinberg, "which is often very appealing to writers. It can reduce inhibitions and allow thoughts to flow freely. Then the effect wears off, so they go back to alcohol to try and reinstate that sensation until, eventually, the craving becomes stronger than their creativity." And he'll always have his dream. Somewhere in the piles of paper and scribbled notes is the seed of a great idea, an International Poetry Museum, a temple of words where artists can share voice and image. It is necessary thing, a vital institution. It has to happen. At least for now, it [Herman] Berlandt's job to dream it. Dana Sauers is Hanover's new poet laureate. She takes over the laureate post following the successful tenure of her friend and fellow Hanover Poet, Anna Bowman. Sauers has wasted no time getting involved. Unlike so much contemporary poetry that wants to startle us into some distorted way of viewing the things around us, these poems are as natural and unassuming as a shadow. They gently take us by the hand or point with an accurate finger to the things that have moved the speaker. Descriptions of landscape are common in poetry, but in "Road Report" Kurt Brown adds a twist by writing himself into "cowboy country." He also energizes the poem by using words we associate with the American West: Mustang, cactus, Brahmas. Even his associations--such as comparing the crackling radio to a shattered rib--evoke a sense of place. The fiery insides of things are [Tony] Hoagland's goal. His poem "The Change," in which he finds himself unable to keep from rooting for "the white girl" in a tennis match, has even succeeded in disturbing and angering some readers -- another contribution that makes him worthy of a prize named for Mark Twain. According to Kennedy Robert Frost coupled poetry and power. He saw poetry as the means of saving power from itself. To quote the exact words of President Kennedy: "When power leads man towards arrogance, poetry reminds him of his limitations. When power narrows the areas of man's concern, poetry reminds him of the richness and diversity of his existence. When power corrupts, poetry cleanses". [Lucius Annaeus] Seneca wrote for his own uneasy times; but his voice has been heard in all the centuries since. Even now, 2000 years after he lived and wrote, troubled minds find comfort in his philosophy: 'Do the best you can, enjoy the present, rest satisfied with what you have'. Jim Barker, a former co-owner of the Avant Garde coffeehouse on Prospect Avenue in the 1960s, died Nov. 5 in Santa Fe, after reportedly falling ill in October. Two teenagers killed Saturday by a southbound Amtrak train were facing and possibly hugging each other before one made eye contact with the engineer and they stepped in front of the oncoming train, the train's engineer told investigators. Police identified the girls Sunday as Arielle A. Daniel, 17, and Heather Bates, 14, both of Oak Creek. Hanging up the phone, he felt something must have happened to his oldest daughter. Something bad. Three weeks later, Kendall and his wife would discover what it was: Merrian Carver had flown to Seattle from Boston for an Alaskan cruise and had vanished while the ship was at sea. Not many would have understood poverty better than former president K R Narayanan who died on Wednesday. Born into a poor Dalit family on October 27, 1921, Narayanan had a tumultuous course of life, ridden with poverty and hunger, till the early part of his youth. Until [Dorothy Law] Nolte decided to claim ownership of the poem by basing a 1998 book on it, she never earned a dime from the work often credited to "anonymous." She also hadn't realized it was so revered. Soldier-poet Gopendra Singh Rathore, who served as aide-de-camp (ADC) to K. R. Narayanan when he was President, followed his Supreme Commander in death as well. Major Rathore, or Gopi as he was called, was killed during anti-terrorist operations in Jammu & Kashmir on Thursday, a day after Narayanan passed away. [David] Ruiz told the Houston Chronicle in 2002 that the building tenders used fear and intimidation to enforce their will. "They had permission to carry knives, hammers, blackjacks, sticks," he said. "The majority of the prisoners also packed. It was a jungle; the strong survived." One of Madison's most successful unknown poets, Carl Thayler, was found dead of natural causes Sunday in his small apartment a few blocks off Park Street. He was 72 and leaves family in California, several books of sometimes contrarian, sometimes lyrical poetry and an unfulfilled desire to buy a candy-apple red Harley. [David] Westheimer's POW experience served as the basis for many of his novels. Von Ryan's Express tells the story of an American who leads a daring escape from an Italian prisoner-of-war camp by taking over a German train bound for Switzerland. Westheimer's The Great Wounded Bird, his recollections of World War II, was the winner of the Texas Review 1999 poetry prize. Robert Woof, who died on Tuesday aged 74, was the first director of the Wordsworth Trust and a leading expert on English Romantic poets and painters. Amrita [Pritam] incarnates herself, through Pooro, to express her hatred for social conventions and male lust. Resigning themselves their fate is what lies in store for the entire womanhood of India, according to Amrita. Throughout her life, Amrita had been a symbol of liberation for contemporary women writers. Although her [Mona Lisa Saloy's] cousins persuaded her to flee on Aug. 28, the day before the hurricane hit, she expected to be away only a few days. She drove to Baton Rouge, taking her dog, an elderly neighbor, and changes of clothes--but not her notebooks, filled with half of a book-length poem about her grandfather, Frank Fitch. "She had an apple on her desk and kept offering it to me if I would take the scarf off, but I wouldn't do it," [Geri] Digiorno says. "So she reached over and ripped it off my head. Then she had the whole school walk through her office to look at me." from Monthly Review: "End Pieces"
"There's no improvement. They are not kinder just because they executed Zhang then and are only giving Zheng Yichun a seven-year sentence now. It's the same kind of human rights abuse," Zheng Xiaochun said. Obviously not a young man who believes that less is more, Master Taylor goes for the big finale: "Make them take many paces for being one of the worst races, on their way to a gas chamber where they will sleep in their manger. I'll be happy Jews have died." In its defense, the publisher of the book says that the poem states at one point "I am Adolf Hitler." [John Wilmot, second Earl of Rochester,] "would work out who was sleeping with who and then employ a footman to doorstep people as they came out of a house they shouldn?t have been in," says [Stephen] Jeffreys. "He would write it up and by the time the unfortunate party was in the coffee houses or riding around Pall Mall he would have something on paper. But it was circulated mainly among his friends." from sunday herald: Tennyson and Brontë loved his poetry. So why is the Earl of Rochester remembered only as a drunken lech? [Margaret Howe] Freydberg writes honestly of "hoping, though she fears it may not happen, / that an old man will come along, / ?and take her hand in both of his, / asking for the last dance." Or she chooses "?lonely, lonely, / bleak, but vitalizing / common sense. / It is like cold fresh air." Although discreet expressions of Sufism are now openly tolerated, and pictures of Whirling Dervishes are prominently used in Turkish government tourist brochures, the open practice of the Sufi mysticism that Rumi represented can still technically result in a seven-month prison sentence. from The Guardian: What goes round . 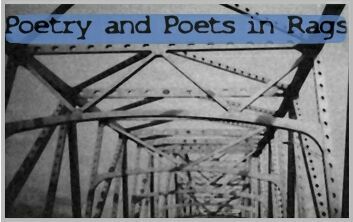 . .
An enduring poem goes beyond politics and headlines. When a poet writes a poem--about war or anything else--he or she writes as one voice singing for the human tribe. And that voice must always be, as Marianne Moore says, "unfalsifying." Moore's "Keeping Their World Large" is a response to a 1944 newspaper article the day after D-Day. The mystery of where God is looms large in our lack of understanding, but the great yogi/poet Paramahansa Yogananda takes us even further than all the great thinkers such as Socrates and Thorearu, because this great guru/spiritual leader for the 21st century is able to dramatize the answers to complex questions, making them simple and direct. from Linda Sue Grimes: BellaOnline: Where is God? All of us have known tyrants, perhaps at the office, on the playground or, as in this poem, within a family. Here Long Island poet Gloria g. Murray portrays an authoritarian mother and her domain. Perhaps you've felt the tension in a scene like this. But from [Edward] Lear's topsy-turvy perspective, it's in the slow lane that you really go places. The "moony," or, in other words, possibly lunatic social misfit--dwelling in imagination, dream and rapture--journeys to far-off, fantastical Karnak. Thus Wordsworth recalls, in richly musical blank-verse lines, two boyish pranks of snaring birds and robbing birds' nests, and then observes, 'though mean our object and inglorious, yet the end was not ignoble'. The incidents themselves may have been 'mean and inglorious', but the end, the shaping of a grown man, was not ignoble. That's a lot to get across in 13 lines--yes, the poem is a line short, broken off, like the echo, like the young life. Hoffman's lines are so smooth it is easy to miss their subtlety: " . . . reality is vintage and delicious . . . it comes as love comes, heart-skip sudden,/Yet long as a lifetime in a once past wishes . . ."
While this week's entry isn't exactly poetry, the writer uses poetic language to describe his feelings about fall. We hope you enjoy it as much as we did. This poem stands out for its skilled and knowing use of language, and for its sheer musicality. Here is a very good example of a writer taking one of the most over-used animal characters in poetry, the cat, and not only making it fresh and unsentimental, but also treating the world of cats with the same respect normally reserved for the human other. Poet Nadia Anjuman was beaten to death, and her husband and mother have been arrested. The United Nations condemned the killing Tuesday as symptom of continuing violence against Afghan women four years after the fall of the Taliban. John Fowles, the novelist who died on Saturday aged 79, combined a rare narrative instinct with a scholar's interest in literary form; as a result he enjoyed the unusual distinction of both professorial attention and enormous sales. A devoted Beatles fan, Stephen [Magee] loved to read and had a particular fascination with the works of Shakespeare. His sister Anna Elliot said: "Steve would rather read a train timetable than nothing at all. He also loved to write and had some of his poetry published. It was unfortunate that Mr. [Kandiah] Thangarajah passed away at a time when his services were needed to the Tamil community. Tamil people in this region had not only lost an educationist, writer, poet but also a Tamil activist who was contributing to the liberation of Tamil people. "Victory" is, I think, Pasolini's last great poem. As he wrote it, he was making The Gospel According to Matthew; his attention shifted to filmmaking and the poems became sketchy. It is a bold poem: I would refer the reader to the final pages, with their exhortations to violence against neocapitalism. "Victory" has never before appeared in print in English. It will be I hope an inspiration to poets who write in English. Dismissed by some as "phoney cosmic crap," dubbed by poet Allen Ginsberg as "spontaneous bop prosody," Kerouac's influential writing was an attempt to perfect a form that would blend the colours and sounds of experience into a potent mosaic capable of transmitting the shape, taste and feel of perceived reality directly into the reader's consciousness. In the new volume, [M.K.] Asante introduces a form called "screen poems," which use dialogue, verse, even director's cues. A piece titled "Sinema Noir" illustrates this poetic experiment. "The goal is to eventually take the screen poems and make films out of them," says Asante, who will graduate with a master's in screenwriting. He also addresses politics, racial identity, and misogyny in hip-hop. from Philadelphia Inquirer: Artists in Progress: M.K. Asante Jr.
We have known that you live in the US. But is your nationality American too? Yes, I am an American citizen because I was born in the U.S. However, I consider myself the citizen of the world. Nationality is not important to me. What I contribute to the world is important to me. Bloc MP Caroline Saint-Hilaire said she was touched by [Raymond] Lévesque's decision to reject the Governor General's Performing Arts Award and decided to try to raise $15,000--the cash amount of the prestigious prize--for the long-time sovereigntist chansonnier. "It was a lampoon . . . of the poor Afghan economy" under the Taliban, [Badr Zaman] Badr recalled. The article carefully instructed Afghans how to identify Clinton if they stumbled upon him. "It said he was clean-shaven, had light-colored eyes and he had been seen involved in a scandal with Monica Lewinsky," Badr said. In a recent essay, "Compromise, Hell!" he writes: "We are destroying our country--I mean our country itself, our land. . . .Most of us are still too sane to piss in our own cistern, but we allow others to do so and we reward them for it. We reward them so well, in fact, that those who piss in our cistern are wealthier than the rest of us." [Allen] Braden was the last of his line to work that land, and the loss lurks in his plaintive writings, beneath the animals, tools and harvests. "As in any dream, you're a little unsure/where and when the will was spent, when your old man became an old man, for now the fields all around are dowsed/as the flames weaken, then dissolve, and he says he's had enough of this life." For [Margaret] Atwood, these girls had been complicit in Penelope's plot to outwit the men, and their speedy dispatch by the returning Odysseus points to their status as a mythic underclass--of peasants, slaves and servant girl--which our favourite heroic tales are happy to trample on or (at best) ignore. "We had no voice/we had no name/we had no choice . . ." as their final chorus puts it. For obvious reasons, these beautiful verses of appreciation to a member of the medical profession held the spotlight: "had it not been for that would I/have been here this morning/at home after a night's rain as/the first sunlight touches the drops/at the tips of the leaves I owe/you the sight of morning". [W.S.] Merwin's poems are, most simply, delicate--delicately loving, delicately humorous, and delicately savage. As the final sequence reaches its close, he [Micheal O'Siadhail] reflects repeatedly on the tragedy of being at the end of a story--after "Eros has turned a promise into memory"--rather than its beginning. Beyond poetry, [Anna] Bowman is also accomplished as a visual artist. She's an award-winning watercolorist and promoter of handmade books. She has taught bookmaking throughout Central Pennsylvania. Her poem "No Parking Here to Corner" was inspired, according to Bowman, "by that all-too-familiar sign, so tempting to ignore." Naomi Shihab Nye lives in San Antonio, Texas. Here she perfectly captures a moment in childhood that nearly all of us may remember: being too small for the games the big kids were playing, and fastening tightly upon some little thing of our own. One of the fathers of the Korean independence movement was Manhae, an important figure not only in poetry but also in religion, culture and politics. An American poet reads with a gasp that Manhae, a monk who profoundly influenced Buddhist thought and practice, was also a coauthor of the Korean Declaration of Independence. Among the many eloquent speeches Robert Ingersoll made in his life time, these 'few words' spoken at the grave of a child, whose father was his friend, stand out as unusually beautiful and inspiring. They are all the more significant in view of the fact that they were spoken by a man who was called an 'unbeliever', and who had done much to tear down conventional and cherished beliefs. The 36-year-old [Samuel] Johnson signed a contract in 1746 for 1,575 pounds (about $270,000 today) to produce a dictionary, thinking he could do the job in three years. He underestimated by six--the first edition was published in 1755. Still, not bad considering that the Academie francaise and the Florentine Accademia della Crusca, both expressly founded to produce dictionaries, took 55 years and 30 years, respectively, to complete their tasks. The specificity of this scene draws the reader/listener into the room where the details tell us about the relationship (Lenox china, the provenance of the salt shaker) and the woman's mood (ham steak smoldering, burned toast spread with reprisal as well as butter). The details don't tell us about the speaker's feelings. Above all, he loved language. [Warren] Benson regularly walked out of the Pittsford Public Library bearing armloads of cheap discards. For three decades, he led poetry sessions at First Unitarian Church of Rochester. He wrote poetry and fiction, and in 1999 he celebrated his 75th birthday with the publication of . . . And My Daddy Will Play the Drums: Limericks for Friends of Drummers. [Maurice W.] Britts taught for more than 20 years at Metropolitan State University in St. Paul and helped develop a training program for minority teachers. A lifelong educator, community activist, poet and writer, Britts, 76, died of heart failure Wednesday. Students reflected upon their reverence for this courteous teacher, veteran poet, and experienced translator who devoted his long life to the nation's literary heritage. Alongside the serious, rigid nature of a teacher and researcher, [Gian] Chi also possessed the artist's profound love of poetry. Akron's Pauline Meeker was a poet and a businesswoman. "She made the best apple dumplings, drove until she was 74 years old without ever receiving a moving violation, and could even skin a bear," said son David Meeker. When Amrita [Pritam] goes to sleep, it is only then that I rest for an hour or two. My daughter-in-law stays with her then, but Amrita wants me alone to sit by her side, all the time, every moment. She used to drink a lot of tea earlier, but perhaps she is losing her taste too now, it seems. She doesn't even like tea anymore. Many of the poems were superb. But there were also verses, of no literary value, by women so obscure that all details of their lives have disappeared. She [Catherine Reilly] felt it was important that these should not be left out because they helped modern readers to understand the mindset of the generation that endured the great war. I immediately knew something was seriously different when he refused a cup of tea and a cigarette when he woke up. We have been married since 1975 and this has never happened before :-)!!!! I called a priest who performed extreme unction and then the district nurses and the final 'futonside' vigil began in earnest.